Each of these books follows the passion of a monomaniacal chef, teaching every detail about how to cook the food that rules their lives. By the Numbers: Around 30 recipes, mostly about ramen, from the Long Island–raised, Tokyo-trained cult noodle master. Included are the 40-page recipe for his signature bowl of shio (salt broth) ramen, as well as recipes for other Japanese comfort foods like chicken teriyaki and chicken katsu (fried cutlets). Biggest Revelation: The craft and technique of making ramen are far more complex than Americans think. For instance, most top ramen shops make two separate broths to create a soup that is light, but very complex and layered with flavor. Orkin's "double soup" consists of chicken stock and a dashi he makes from dried sardines, dried squid tentacles and dried mackerel alongside the typical kombu seaweed and dried bonito flakes. Also, while most American cooks typically remove fat from their stocks, in Japan, the fat is prized. 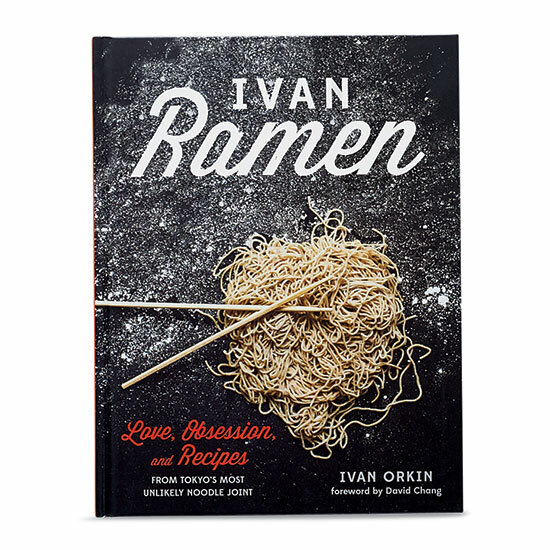 "Fat is the one ingredient that can't be omitted from ramen," Orkin writes. "It's what causes the soup to stick to the noodles." Smart Tip: Orkin's ingenious method for making a half-cooked egg: Pierce one end with a pin, then boil for six minutes and 10 seconds, stirring gently for the first two minutes; chill in an ice-water bath and peel. By the Numbers: 85 bread and pastry recipes by Chad Robertson, the bread genius behind San Francisco's Tartine Bakery and Bar Tartine, focusing on ancient whole grains like Kamut, spelt, farro, einkorn, barley, buckwheat and amaranth. Biggest Revelation: Influenced by Scandinavian and German traditions, Robertson pushes the concept of "bread" incredibly far. Some of his loaf breads have so little flour and are so packed with sprouted grains, seeds and grain porridge that they are more like toothsome tempeh in texture. Most Inspiring Recipe: Robertson's crispbreads—large, free-form crackers—are an incredible canvas for flavor. Taking a page from pasta cookery, he runs the dough through a roller pasta machine so it becomes uniformly thin, verging on translucent. Often, he flavors the crispbreads by rolling all kinds of ingredients—seeds, grains, nori, soft herbs, flowers, mandolined vegetables—into the dough. The finished crackers look like stained glass you can eat. Smart Tip: Robertson's recipes for nut milk–based pastry creams—made using hazelnuts, pistachios or almonds—add another layer of flavor to classic pastries like éclairs.